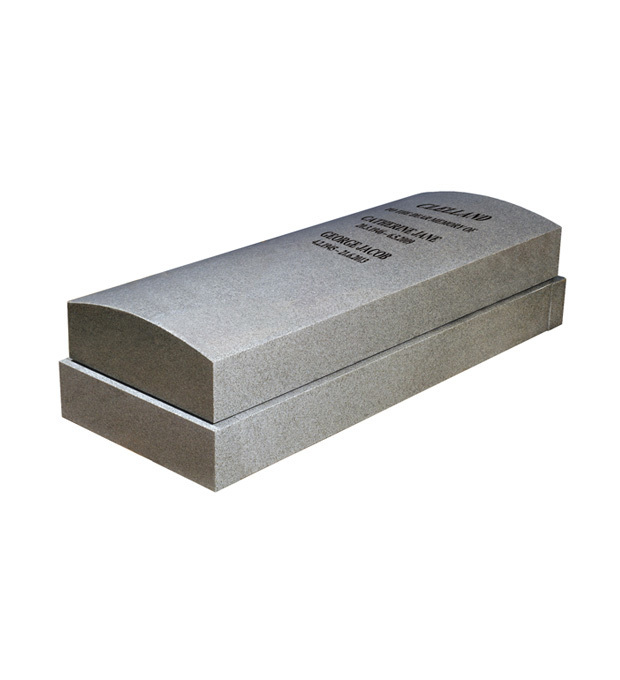 This all polished 'Karin Grey' granite sarcophagus is suitable for a full size grave. The top section has been designed in an arc shape to encourage rainwater to disperse from the lettering area whilst the substantial kerbing base provides a protective raised platform. Trade customers please log in to view Clelland purchasing options.